to share stories, camaraderie and talk about the next cruise. New Events continue to be added to the EVENT CALENDAR! If you are talking about highly regarded car brands, one of the first few names to crop on your mind would be Ferrari. They are among the leading and oldest car manufacturers in the world founded in 1929. The Italian sports car brand initially sponsored manufactured racecars and drivers before they ventured into production of vehicles in 1947. Ferrari cars are almost synonymous with Formula One races, but many wealthy people adorn these speed machines as a symbol of luxury, sophistication and their love for speed. Ferrari 330 TRI/LM: For those who are fond of the brand's classic models, this 1962 model is a prime choice. The cost of this vehicle is around $6.5 million, it was developed by following the racing rules that only permitted models with four cylinders, and this is a vital reason that the model is still very popular among vintage car lovers. Ferrari 250 GTO: This is a superior vintage collection from the 1962 classic car models by Ferrari. The model is designed uniquely for the road and racetrack, and its name signifies Grand Touring Homologated. Users of this vehicle experience that 'grand' feeling while driving or just staring at it when parked majestically. 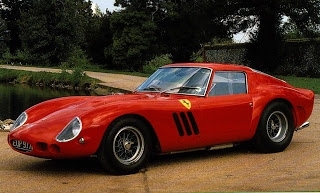 The approximate value of a 250 GTO is around $16.6 million. 612 Scaglietti: Renowned movie director Roberto Rossellini once ordered for a custom-made car for his wife Ingrid Bergman (actress) in 1954. Later, the design was implemented in the Ferrari 612 Scaglietti, which went on to become one of the most popular vehicles during the period of 2004 to 2010. This lovely Fastback coupe car has two doors and got inspiration from Carrozzeria Scaglietti manufacturing plant in the Ferrari's Maranello headquarters. 308 GTB: If you are fond of classic sports cars, then having a Ferrari 308 GTB can be an ideal choice. This model was introduced and got popular between the period of 1970s and early 80s. In 1985, the model was updated as 328, but many vintage car lovers would like to have the original 308 GTB because of its luxurious bodywork and unique design. Ferrari F430: The model is a successor of the Ferrari 360, which was one of the popular commercial vehicles from the brand. The F430 became a leading example of highly regarded commercial vehicles by improving its aerodynamic efficiency with top speed of 196 mph powered by 500 HP engine. Later, the model became a template for other famous variants like the F430 Spider and Scuderia Spider 16M. 575M Maranello: The naming of this car shows inspiration drawn from the Italian town where Ferrari has its main production centers, since inception. This model is the improved version of the 550 Maranello with a few changes. The brakes of this model are very advanced and at par with the Formula One technology of Ferrari. This highly attractive two-seater car is a collector's delight. 599 GTB Fiorano: This is one of the most popular recent models that Ferrari has churned out. The name of this model is derived from its engine of 599 CC. The sleek lines in the body suggest some of the classic cars by the brand while the two-seater arrangement gives it the trademark sports car look. It was first introduced in 2006 and gained popularity as one of the most beautiful cars. The popularity of this model led to the release of its GTO model in 2010. Ferrari California: This is definitely a delightful sports car that ensures a stylish luxury driving experience. It is perfect for lovers of convertible cars that combine both power and look. Look and feel inside the cabin is fantastic and that is why this model is popular as one of the most-hired cars for weekend trips, events and other purposes. Ferrari Mythos: This high-end concept car was introduced in 1989, which is capable of speeding at 180-mph. The large air intake and the wedge shape of the car is well liked. This rear-wheel drive mid-engine car still remains among the popular models. Ferrari 458 Italia: This mid-engine sports car is available since 2009 after replacing the F430 model. What makes it highly regarded is its direct fuel injection, which is first among the Ferrari road cars with mid-engine setups. Moreover, the interior of this car was designed using inputs from Michael Schumacher, which instantly makes it a collector's favorite. This definitely does not end the list of Ferrari exotic collection of cars. The brand keeps coming with new models with high-end technologies while the popularity of its vintage machines keeps on increasing. If you are fond of luxurious and sophisticated cars, then treat yourself with a Ferrari.